A rare, stinky and somewhat sexual spectacle about to unfold at the San Francisco Conservatory of Flowers has its roots in a Mission District bathroom. Terra the Titan, a titan arum plant also known as the corpse flower (or by its scientific name, amorphophallus titanum) is about to bloom. 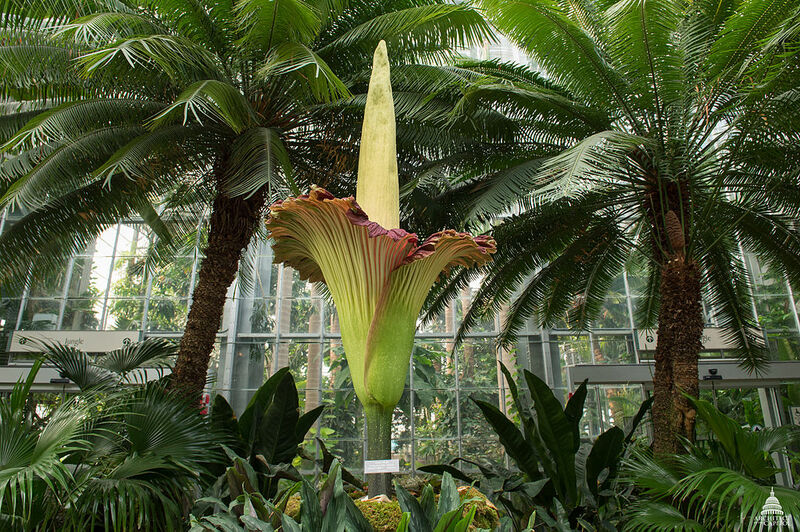 That is a momentous occasion, as the plant only manages to produce a bloom about once every five to 10 years, and when it does, it releases a staggering stench. The smell, akin to rotting flesh, lures pollinators like flies and beetles, usually attracted to corpses to lay their eggs. The plant’s natural habitat, in the hilly rainforests of Indonesia, is threatened by rampant deforestation, so botanical gardens around the nation have taken to raising the increasingly rare giant plants. That’s how Sidney Price got involved. Price raised Terra the titan arum in his Mission District bathroom, nursing it through about four years of domestic life before it grew too massive for the space. 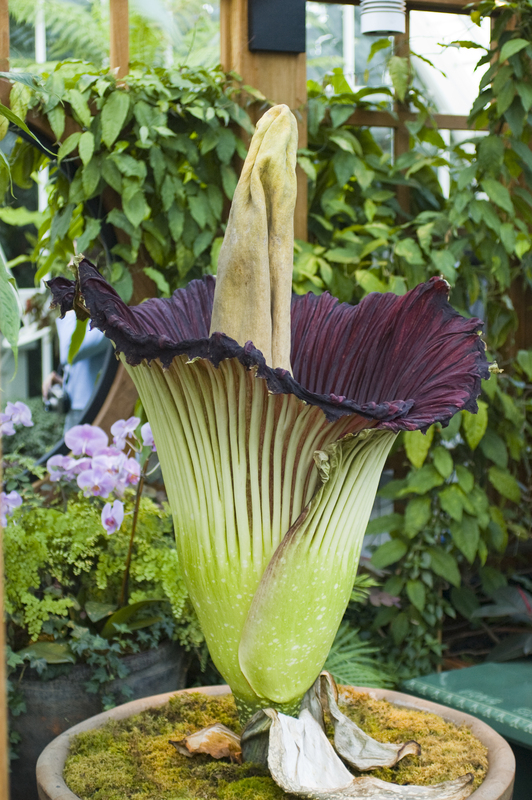 In 2010, Price had visited the UC Berkeley Botanical Garden to see a titan arum in bloom, and grown enamored. Now, at nine years of age, Terra is ready to produce a first bloom. The term “corpse flower,” and the idea of giving a plant a male or female name, is actually somewhat misleading. The gargantuan plant will not produce one flower but hundreds, in a cluster called an inflorescence, with both male and female flowers. It’s a culturally fortuitous moment for the bloom: Pride, a time when the spectrum of gender expressions is celebrated along with the spectrum of sexualities. The flowers in the inflorescence will open in sequence, with each open just a day or so, to prevent self-pollination. In the wild, the timing of pollination is incredibly tricky, as two plants must bloom in a rhythm that allows one to release pollen from its male flowers before the female flowers of a neighboring plant close up. With such long times between blooms, such a short flowering period, and a shrinking habitat, corpse flower reproduction can be a doomed romance. “The rarity of that happening and also for another plant to be blooming at the same time within that three to four day period, the odds are just astronomical,” Price said. 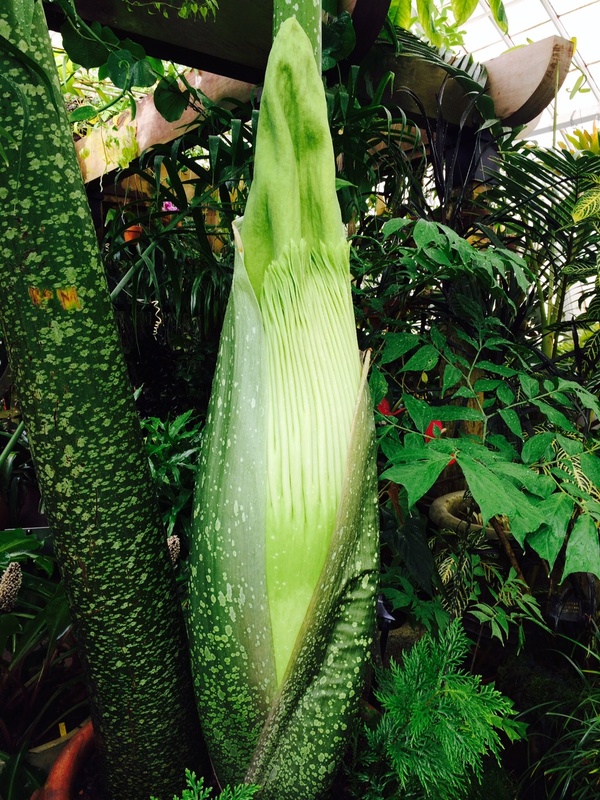 As luck would have it, on the same visit during which Price discovered his love for titan arum, the garden shop at Berkeley’s botanical garden was selling corpse flower seedlings, four-inch yellowish-green shoots in small pots. Price seized his chance and bought two, which later turned out to be three. At first, they languished by his kitchen window. Then he tried something different: His bathroom, equipped with a skylight. The soft light and the warmth and moisture of years of showers apparently served as the perfect emulator of a corpse flower’s natural tropical habitat, because the plants flourished. Price’s dedication and care probably didn’t hurt either. But he knew it couldn’t last forever. 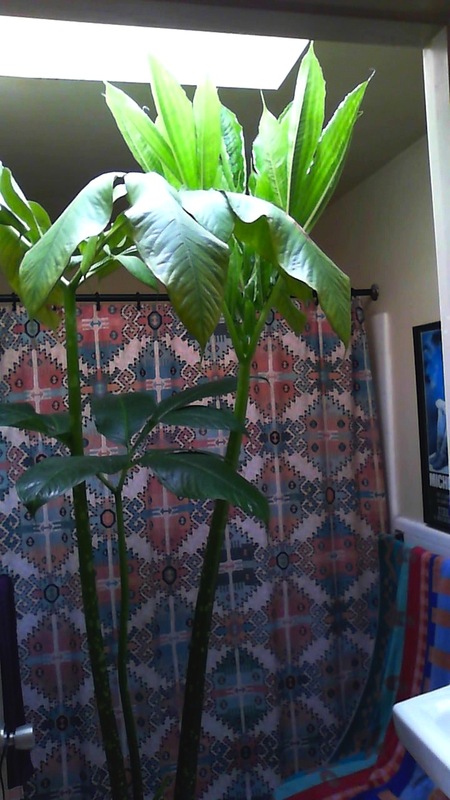 In 2014, Price had to say goodbye, realizing that if he waited any longer he wouldn’t be able to get the towering plant out of the apartment without damaging it. He contacted the Conservatory, which agreed to take Terra and its pot-mates in. After blooming, the plant will wither and go dormant, a cycle it undergoes periodically. But the plant’s root, a large tuber, will remain alive and produce leaves once more. The public is invited to witness the occasion of the rare bloom. The Conservatory is extending its hours during the anticipated possible blooming days, from June 13 to June 19. It has also set up a livestream where anyone interested in getting a peek at, but not a whiff of, the action can check in on the plant’s progress.